The commodified pseudo-weirdness of Tim Burton has become a bit of a bugbear, even for those who once fell hard for his particular brand of whimsy. Wearying in its repetition of the same Goth-lite tropes, over-reliant on Johnny Depp’s cutesy bug-eyed schtick, and rarely as tight as it needed to be on the level of plot, Burton’s work began to seem tired. However, it also began to make absolutely tons of money – and what happens to a misunderstood outsider if he becomes a screaming success? Well, in this case, he goes back to his roots and remakes one of the early pieces that kickstarted his career, back in 1984. 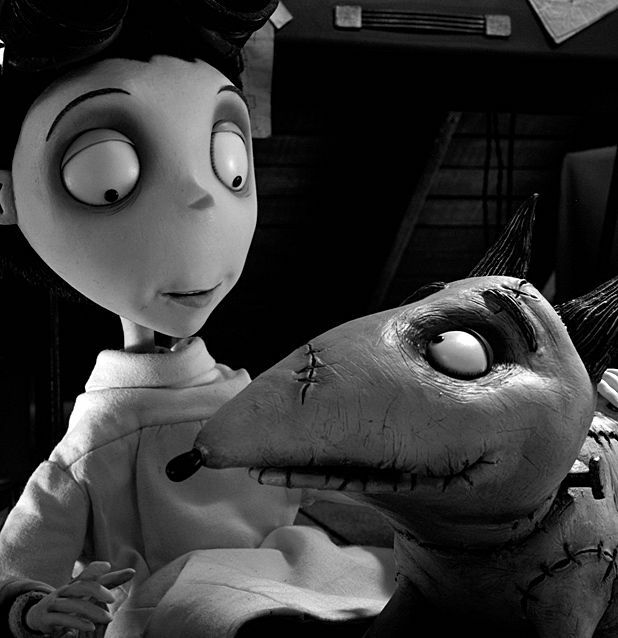 Frankenweenie, originally a live-action short, now becomes a triumph of Burton’s beloved stop-motion animation – though it remains in glorious black and white. Young Victor Frankenstein is devastated by the death of his pet dog Sparky, but when a forward-thinking science teacher spurs his imagination with regard to the life-giving possibilities of electricity, an ambitious science project comes into being. Burton is of course an inveterate referencer of others’ work, and Frankenweenie is an extreme geek-off when it comes to horror history and the shadier corners of pop culture. (Also, Edward Gorey’s estate should be claiming royalties on some of the character designs here.) But even if you don’t know Hammer from Harryhausen, Frankenweenie is a delight on the level of both plot and visual detail. John August’s script makes gentle points about the acceptance of death and the stimulation of children’s imaginations (the science teacher is ousted from the town by fearful parents, in a clear jab at the censorious US religious right), and the film has an emotional heft that’s been stylised all the way out of many recent Burton works. Visually it’s so smart and inventive and downright beautiful that you want to stand up and cheer. Tim Burton’s imagination? IT’S ALIVE! General release from Wed 17 Oct.